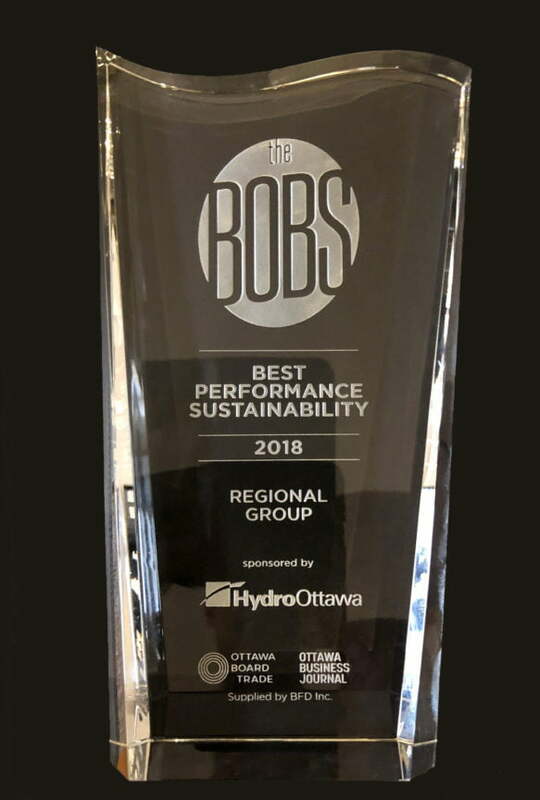 November 19, 2018, (Ottawa, Ontario) — Today, Regional Group was awarded the Best Ottawa Business Award (The BOBS) for Best Performance in the Sustainability Category. Regional was praised as a “global leader in sustainable urban infill development.”, and the award was granted on the strength of the company’s many successes and long-standing practices in sustainability initiatives. Since 1958, Regional Group has been shaping real estate in Ottawa and throughout Canada’s National Capital Region. Started as Regional Realty, the business evolved into a unique real estate platform with extensive experience handling every aspect of the real estate environment. We create, develop, manage, and assess real estate value for our clients, partners and investors.